FIFA 15 online play and the FUT web app are not working on PSN today, October 11th, which is due to problems with PS4 and PS3 multiplayer. Following on from the PSN maintenance taking place today, unplanned, it seems that this has taken down many other games that include FIFA 15. EA Sports has confirmed the problems with the PlayStation consoles and also explain “EA Sports servers aren’t down and the current problems are due to PSN maintenance”. This confirms the user status updates we’ve been getting in regard to issues with getting FUT to work. 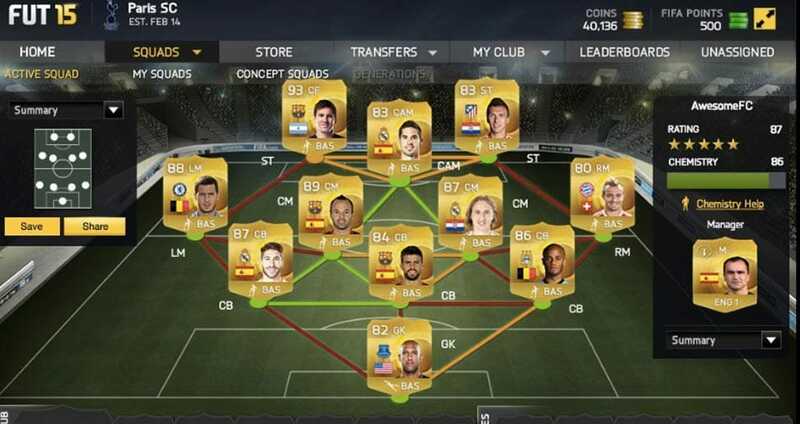 One Down Today reader said, “Why is the FIFA Ultimate Team app not working right now?”. Another answered, “It looks like PSN is down today and this is stopping many games from working, which includes FIFA 15 and Destiny”. You will notice when everything is back to normal for PSN users through the related status pages on our website. Follow the link above to leave further details on the problems you currently have.